A local court today dismissed an application filed by a social activist seeking directions to file an FIR against Goa Agriculture Minister Vijai Sardesai for alleged corruption. 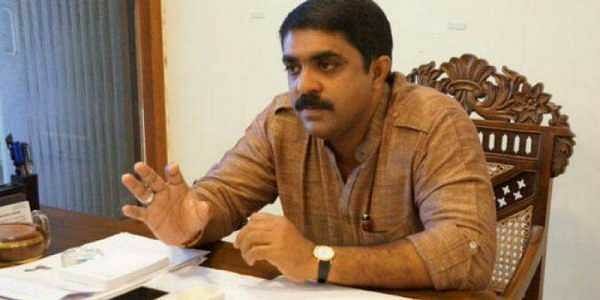 PANAJI: A local court today dismissed an application filed by a social activist seeking directions to file an FIR against Goa Agriculture Minister Vijai Sardesai for alleged corruption. South Goa Principal District and Sessions Court Judge B P Deshpande dismissed the plea filed by activist Aires Rodrigues. The judge ruled that it is mandatory to take sanction from the state government to register a case against a member of legislative assembly. Rodrigues, in his petition filed last month in the court, had submitted the purported audio recording between Sardesai and another social activist Kashinath Shetye related to the illegal conversion of open spaces at Verna in the land owned by Goa Industrial Development Corporation (GIDC). In the petition filed under section 156 (3) of the Criminal Procedure Code, Rodrigues had sought the court's directions to Fatorda police to register an FIR against Sardesai and other unidentified persons under sections 420 read with section 511 and 120-B of the Indian Penal Code (IPC) and section 7 and 13 of Prevention of Corruption Act. Special Public Prosecutor Saiesh Mahambrey represented police department during the hearing today.